Liturgy has always aroused strong passions. In the 19th century, some London churches served by Anglican priests who wore lace were stoned. So it is not surprising that the introduction of a new translation of the Catholic Mass should be turbulent. It raises many interrelated questions about the process by which the translation has come to exist, about the quality of the new texts, and about how best to respond to it. It is helpful to treat these questions separately. The central question concerns what matters. For most Catholics what matters most about texts is to transcend self-consciousness in praying aloud with others. They want to be on the same page and to sing from the same hymn book. So it will be important for people happily to pray the same responses. Uncertainty about how to respond simply breeds a mumbling hesitation that proclaims neither faith nor freedom. The process can be described briefly.The Roman Missal, revised after the Second Vatican Council, was quickly translated into English under a committee representing the Bishops of the English-speaking world, the International Commission on English in the Liturgy (ICEL). It was always recognised that the translation, which tried to render the prayers of the Missal into contemporary spoken English, would need substantial revision. A new translation that took account of the many criticisms received of the first text was prepared for discussion by ICEL in consultation with the Bishops of the English-speaking world, and in 1998 was subsequently approved by each of their Bishops' Conferences. But the translation did not receive approval by the Vatican which was preparing a new Latin text of the Roman Missal. This was published in 2002. In the previous year the Vatican Congregation for Divine Worship, with little consultation even of members of the Congregation, had issued the document Liturgiam Authenticam. It contained guidelines for translation which emphasised integral and exact translation. 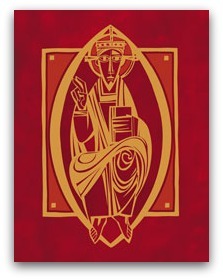 In 2002 the Congregation established the Vox Clara committee to give advice to the Holy See on English-language texts. In 2003 ICEL was restructured to have a formal relationship with the Vatican Congregation. It prepared new translations under the new guidelines, which were discussed by Bishops' Conferences, approved in 2006 and confirmed by the Vatican in 2009. In 2010 the Vatican authorised the final text. It contained some 10,000 further changes from the text previously approved by the Bishops. This intensified controversy about the translation, led to widespread anger among the translators, the leaking of texts, and declarations of resistance among many of the clergy who will implement it. Underlying this long process is the question of who controls the liturgy. It has been proclaimed that the Vatican controls the translation of texts, not the Bishops' Conferences. To what extent that is theoretically a good thing depends on your understanding of the Church. When judging the process devised by the Congregation for Divine Worship, however, most people will focus on its success in producing good texts that are happily received by clergy and laity. A tacit consensus has emerged that the consultation and transparency central to due process have been lacking, and that this lack has diminished the quality of the work and the good will necessary for its implementation. Judgments about the quality of translations are inevitably subjective. Commentators tend to compare the best bits of the version they applaud with the worst bits of the versions they dislike. My own judgment, based on a limited reading, is that, considering the narrow instructions governing its preparation, the new translation overall is surprisingly good. In less skilled hands the result could have resembled Inspector Poirot's English. In fact it reads more like the English used in costume drama — workable, but with a slightly archaic and formal flavour. It demands that the celebrant slow down and settle into period. It also supposes relatively high linguistic skills in its audience. In the Australian Church the formality of the texts will make great demands on the many celebrants and the members of congregations for whom English is not a first language. Communication of meaning will inevitably suffer. Most congregations will find it difficult to take in the meaning of the Sunday prayers as they listen. The translation retains the complex balanced periods of the original Latin text, and so demand a long attention span. To help comprehension, some celebrants will adapt what they read; others may precede the prayer with a commentary on its meaning. Neither expedient helps good liturgical celebration. These reflections are not intended to criticise the translators. They are faithful foot soldiers landing on a beach chosen in some one else's battle plan. But my reflections do raise a wider question about liturgy. Should it be seen as a jewelled ossuary of precious symbols and words, or as a living resource to be worked with and adapted? The process of translation, following the long practice of the Roman and Eastern churches, regards it as the former. It's all about centralized power and control isn't it? I have just been to my first funeral Mass using the new translation. I foud the words jarring and awkward, and the use of 'chalice' seemed unbiblical. It struck me as a backward march to the Church of my pre-Vatican childhood. We do not live in Medieval Europe,but in a world engaging in the excitment of scientific understanding and changing philosophical constructions. If we do not have the courage to embrace these realities, the liturgy will be not be able to carry meaning and an entry into the deepest experiences to new generations. Thank you for this article. I have only been vaguely aware of this process and this has illuminated my understanding wonderfully. I note your observations about the relatively high linguistic skills required by the audience. Apart from culturally diverse members of congregations, I wonder how this will be received by children, or people with disabilities (particularly hearing loss)? Your final observation about how the liturgy should be perceived reminds me of discussions about the constant evolution of the English language. Many lovers of proper English still acknowledge that language is alive, and is a tool to communicate, and should not be expected to be kept boxed into spelling and grammatical strictures that outdate common use by society. Are we to anticipate, after this pulling into line (so to speak) of the language of the liturgy, a Vatican attempt to create (and impose) an "integral and exact translation" of the Bible for liturgical and other official use? I hope not! While dial flicking last Sunday I stumbled /was led by the Spirit to TV 44 which I had never heard of. An american programme was showing the new translation side by side with the Latin text. My Latin is good enough to realise that much of the new is better than the old. And I am a cynic re Rome. Again the editor chooses a heading which misrepresents the content. Why do you do this? P: The Lord Most Holy Oh Most Holy Very Holy be with you. You especially. R: And, it must be said, with you also, or do we mean Your Spirit. Indeed we mean this Yes precisely, and more than your Spirit. With your Spirit and your little grey cells. Thank you Andrew for this succinct information of process. On the outcome of that process, I appreciate your last two paragraphs of what it is likely to mean in this country where many who attend Mass are not native speakers of English. Indeed, for many of particularly younger native speakers, the English they speak is not likely to be heard in the new translation of the liturgy. The alienating imposition of Vatican-approved liturgical English is not going to turn around the general movement away from weekly Mass by many Catholics in this country. Among the many leaks about the new translation, I heard one which worried me theologically. Changing away from "Christ died for all ..." to "Christ died for many ..." or words to that effect. Is this a return to emphasis on the elect, with its implication of predestination and being saved by grace alone, rather than by one's individual life and good works? And if Christ died for many, who is left out? For whom did he not die? I look forward to hearing/reading the words actually used, and I hope my theological concern will be proven to be misplaced. To the masters of the Vatican the body of the church does not exist, only its fiat delivering head. Consultation equals zero, communication is one way only – top down. The purple mafia has silenced the bishops with a ‘pull your heads in’ edict. They, wishing to keep their jobs, have complied. Now relegated to the ranks of stumbling thespians, the priests are even more under pressure and very possibly more demoralised than ever. The rank and file congregation, we the mushrooms, ignored, as usual, lack basic information and the means of acquiring it. A case in point: I phoned three parishes and asked: What’s happening? When will it start? What do I need to know? I encountered almost total confusion. They gave me several dates and little else. I then phoned the Sydney archdiocese. A person connected me to the empty liturgy office; an answering machine there gave me the number of another answering machine on another empty desk. I have since discovered a booklet on the ‘New Order Of The Mass’ can be had from Mustard Seed bookshop. Perhaps somebody should share the secret with the uninformed parishes and with the comatose Sydney archdiocese nerve centre. Pauline's comment reminds me of my mother's requiem mass, last month. I hadn't been to Mass for 40 years but I had to produce a booklet for the service. I copied an old one Mum had from a service she attended a few years ago, and just changed the readings etc. Luckily the priest didn't see it 'till one minute before the service began when I gave him a copy. I 'improved' on the translations so phrases like "All those who fear the Lord" became "All those who love the Lord" etc. We knew Mum's favourite hymns and because we couldn't find any decent recording of them, had a professional singer sing them. At the end of the service the singer said to me she had never seen a lovelier service. We liked it, and couldn't care less what the Vatican might have thought about it. A couple of weeks ago we pondered the words of John's Gospel, neither on this mountain (Gerizim) or in that temple (Jerusalem), but true worship is in spirit. I'm sure, to use the author's closing image, that the spirit in question is abroad on the many different beaches where today's foot soldiers of the faith are endeavouring to make sense of the modern world. Lex agendi, lex orandi, lex credendi - from gospel praxis our worship, from worship then the clue to what we believe. I haven't, therefore, much time for jewelled ossuaries; although chalice is probably neither here nor there. Particularly alarming in the process is the imposition of a further 10,000 changes not submitted to the Conferences of Bishops for their approval or even comments. More alarming still is the disregard of the substance of this requirement of the Second Vatican Council: 'The rites should radiate a noble simplicity. They should be short, clear, and free from useless repetition. They should be within the people's powers of comprehension, and normally should not require much explanation' (Constitution on the Sacred Liturgy #34). to PETER CREW: After reading the article I found the heading Liturgy translation 'suprisingly good' to be quite an apt summary of the article - or the best that could be done in four or so words. Using my meagre knowledge of the balance of power between writer and editor/sub-editor has discretion to highlight, I guess the editor/sub-editor has the discretion to highlight any aspect of the article which he/she thinks might best portray the content to someone glancing over the page. I'm guessing it's a subjective decision and that probably no two editors would choose exactly the same heading. What heading would you choose to be more fitting, Mr Crew? As Andrew points out, the real issue here is not so much the words. There are some matters of serious theological concern - 'died for many' rather than 'died for all'; 'I believe . . ' rather than 'We believe . . ' (The ancient creeds were all statements of the whole assembly of the bishops gathered at the councils and used the plural form - as in other examples the Latin translation itself represents an inferior theological expression of the Greek original - so much for 'Resourcement') The real issue is the fundamental understanding of the nature of the Church. It seems that this exercise further restricts the ability of the Roman Church to genuinely call itself 'Catholic'; It represents an 'imperial' model of the Church and a further example of a saddening trend towards the Roman Church becoming a narrowly focused and inward-looking sect. Whilst I can applaud Andrew for trying to express an even handed response to the new liturgy it beggars belief that there is much surprisingly good in such convoluted, archaic and pompously worded texts. Paul Collins describes the textual language as that of "psuedo mid-Victorian english" romance speak on a bad day. They remind me of Monty Python's send up "oh lord you are so terribly big and we are terribly small,do not fry, bake, grill...Full of dualistic world denying piousity. Good liturgy will need adaption and a good deal of less is more extemporization. It is hard to believe in this day and age that we like to haggle over what is meant by ‘I believe’. When the Anglicans and others went from ‘I believe’ to ‘We believe’ in the 1970s the traditionalists would grumble that Credo is not Credamus. We were told back then that only you yourself can say what you believe (Credo) and that you cannot speak for anyone else (Credamus). This has always seemed of less importance than whether the individual (You and Me) actually believes every clause of the Creed. What do we even mean when we say ‘believe’? Is this trust? Faith? Commitment to an adventure? Wondering out loud? Going through the motions? Feeling good about Nicea? Having a Nicene day? Are we aware that we are also rejecting the heresies that the clauses reject and which were one of the reason for piecing together a Creed in the first place? The real beauty in this new version is where I, or We, believe that Christ is of one substance with the Father. This teaching, brought in sideways by a learned man in Greek, has caused no end of trouble ever since; it’s not even biblical, or at least it’s biblical when you see that it’s biblical. Fortunately we’re all post-modernists here so it is biblical. Theology and Latin has won over Commonsense and English in this case, as we must countenance anew ‘Consubstantial with the Father’. This is not only much more difficult to sing than ‘of one substance’, it is also something you are not going to ask your next door worshipper to discuss later over a tea and biscuit. I was concerned to read some of the comments about changing the meaning of the words, particularly the died for many vis a vis died for all. I find this disturbing. In addition, one of the things I love about our church is our communal prayers and songs to God. Strange that such changes can be made, yet any changes that have reflected the transcendental nature of God (as opposed to a strictly male depiction, Jesus excepted) are met with deep resistance. In response to Ian Fraser’s theological worry about not getting saved… The fact that he has only ‘Heard’ not read about it, comes as no surprise. Thus far, getting information or hard copy seems to be a process somewhat similar to trying to catch flatulence in a net. The passage of concern appears in the Eucharistic Prayer. The previous translation reads: Take this, all of you, and drink from it: this is the cup of my blood, the blood of the new and everlasting covenant. It will be shed for you all so that sins may be forgiven. Do this in memory of me. The new translation reads: Take this, all of you, and drink from it, for this is the chalice of my blood, the blood of the new and eternal covenant, which will be poured out for you and for many for the forgiveness of sins. However, despite the expressed concerns by ‘many’ I have a strong and enduring belief that God is a good deal smarter than the Vatican apparatchiks. I shall put my faith in that thought and await [in a Jesuitical way] the next translation. to PETER CREW: After reading the article I found the heading Liturgy translation 'suprisingly good' to be quite an apt summary of the article - or the best that could be done in four or so words. Using my meagre knowledge of the balance of power between writer and editor/sub-editor has discretion to highlight, I guess the editor/sub-editor has the discretion to highlight any aspect of the article which he/she thinks might best portray the content to someone glancing over the page. I'm guessing it's a subjective decision and that probably no two editors would choose exactly the same heading. What heading would you choose to be more fitting, Mr Crew? Ah, Desiderius, "we believe" is credimus, not credamus. Just nitpicking! As well as knowing something about the content and history of the new vernacular translation, I think it is important for us to know a principal intention of Vox Clara. Eucharistic language as vehicle of dogmatic indoctrination! Well, he's honest about it! Andrew, a very balanced article. I believe that tinkering with the liturgy does the Church a great disservice. The earlier Latin Mass gave us certainity. I've attended Mass in different countries and the Latin Mass was common to all. t was the source of a common identity. It was what made you a Catholic and regardless of who and what you are it gave one a sense of belonging to a Community of the Faithful. It did not differentiate between members of the Faithful. As a non-Catholic, but Catholic educated in the late 1940's, my heart goes out to my Catholic brothers and sisters. Talk about rearranging the deck chairs!!! Have the Vatican noticed what is going on out there with their precious Church? It warms the cockles of my heart to see and read so much feedback on Fr Hamilton's article. In using such an old-fashioned (17th centuary) expression such as "warming the cockles of the heart" to commmunicate the delight, nay even the joy, I experience when I see so many commentators interested in the new translation of the Roman Missal, I am reminded what a trap the English language is for young players. It can be scientifically and physiologically inaccurate, as in this case, and yet at the same time present an emotional truth with so much more emphasis than "sursum corda". Translators, I was taught by an ancient Jesuit classics teacher, are not transliterators. It would seem The Congregation for Divine Worship preferred transliterators. That way the full impact of the word or phrase - linguistically, theologically, philosophically,psychologically etc -was unlikely to be conveyed. And yet if we are to praise reverence and serve God our Lord in body, mind and spirit, surely we should not be constrained by a transliteration of a dead language, even if it has been given some semblance of survival by being attached to a Mediaeval Church's Latin Support System? Thank you, Andrew. There has been too much criticsm of the new translation from people who have not even read it. I for one will welcome the new translation - hopefully it wil add a lavel of dignity missing from the present translations. We need to reclaim our Latin Rite and be proud of its rick traditions and not one everything in the most basic and banal Englush possible. I look forward with great anticipation the day on which the whole of the new translation is implemented. Shouldn't it be "the laity and clergy" ? Question who controls the liturgy ? Who is the liturgy for ? Those played around with the words or the laity? Who do the curia, the cardinals and bishops exist for - themselves or the laity. Without the laity the translators, the pope, curia, hiearchy and the clergy have no purpose or meaning. Well said Jennifer Raper !! Who cares !! Thank you, Bruce Laidlaw. Credamus is the first-person plural present active subjunctive of credo. Credimus is the first-person plural present active indicative of credo. It depends on your mood, I suppose. Or perhaps that's our mood. Credimus was acceptable at Nicea but not later at Constantinople, when they reverted to the Credo of the Apostles’ Creed. Another thing about corporate worship and the Creeds, we’re meant to treat recitation of the Creed as prayer, but so often it is done like you are finally owning up to all sorts of incredible stuff. I mean, is it prayer, your personal testimonial, or an admittance that yes you do agree with Athanasius of Alexandria on all the main points, always have, always will? Normally I like to focus on one line when reciting the Creed, as a form of prayer. One of my favourites is that I believe in all things visible and invisible. Imagine if our whole society said that every day at breakfast. But all the lines are beautiful and perfectly credible.They are worthy of our lifelong consideration. Thank you Dermott Ryder for giving me the actual words and perhaps reassuring me that I need not worry too much about being saved. But my serious comment is the message implied for many in the change from "all" to "many". Several of my Muslim and Jewish friends are very aware of the traditional leadership role of the Catholic denomination within Christianity based on the history of Christianity. They know that the Church has taught clearly since Vatican 2 that Jesus died for all humankind, and a person doesn't have to be over-sensitive to imagine that the Church is now reverting to the belief that only Christians can be saved. On a broader note, my generation (secondary school during Vatican 2) is lucky in that many of us have been able to let go of the Vatican's imperial manner in preference to taking responsibility for our own spiritual life - as is clearly indicated in the comments so far appended to this article. The horse has bolted while the Roman artisans are still building the corral. I notice comment on "dying for all" or "dying for many". I also note some want it to be Biblical. The truth is that Christ is quoted in the Gospels as saying his death was "for many", not all. I would go with Him myself. I was delighted with the range of comments on this article. A couple of comments. Headlines always involve a balance between attracting readers and conveying the sense of the article. I thought this one did that pretty well. Maybe 'surprisingly good, considering..' would have caught the qualifications in the article even better. The questions raised about the change from 'for all' to 'for many' are more significant. The Latin original speaks of Christ's blood poured out for many. It represents the text of Matthew's Gospel. It is common ground between translators, theologians, and presumably bishops, that the phrase in Matthew's Gospel represents a Hebrew idiomatic phrase, in which 'the many' means all. So it affirms that Christ died for all. That i why the soon to be superseded version spoke of 'all'. The 'many' of the new translation, therefore, means 'all'. As it stands it is theologically misleading, and so will require careful explanation. It illustrates one of the weaknesses of literal translation. What I have found interesting is that the two people who have responded from the position of 'in the pews' at a time when life was difficult, each expressed similar distress to mine. Surely the most important criteria is the purpose that the liturgy is meant to serve in people's lives. My principal concern having been involved in liturgy for over forty years, is that a "one size fits all" translation for all English speaking peoples is inappropriate. Anyone who has traveled knows that people in the UK speak and listen differently to those in the USA, Canada and Australia/New Zealand. Churchill once said about the USA & UK that we are dived by a common language. If the tone of the new translation does not take account of these different English speaking cultures, arguably the most diverse in the world, the risk is that people will turn off. My parish has been using the new 'translation' for about a month. I'm no fan of the long sentences with little punctuation and I'm not knowledgeable ( or pedantic) enough to get enthused by minor changes. The changes seem awkward and dull. Most people are getting confused between this version and the previous version. The only way that it works is when the priest points out which page we are supposed to be on - there are too many options included for a first run through. It feels more like a play rehearsal than a mass. Do we have in this discussion an exhibition of the prevalent philosophy of the autonomous individual with it's denigration of authority and hierarchy masquerading as the philosophy of the communal individual? I would suggest that the only relevant consideration is how clearly the words of the Mass convey meaning to the congregation of today. I fail to understand the Church's unquestioned adherence to all things Latin. Did not Jesus speak in the vernacular of his day? I could not agree more with you about a number of things, Pauline. As one brought up on the (Anglican) Book of Common Prayer, which uses what Andrew calls a "slightly archaic but formal flavour", on the odd (very infrequent) occasions I have to sit through one of these ancient liturgies . . . usually at funerals . . . I remember what I found unintelligible about it all. Perhaps the use of archaic English (and we were told this) gave the whole performance a "mystical" and "magical" feeling . . . so that we did feel that the priest was, indeed, "making God up there on the altar." Perhaps the Vatican wants to try and recover that feeling amongst the faithful, and, in doing so, put the priest back on his pedestal??? I also note, Pauline, your remark about the widow being refused communion at her husband's funeral Mass. This is like asking someone to dinner, and then saying, "you can watch us while we eat, then go home." No comfort . . . no warmth . . . and, above all, no hospitality . . . for someone in great need. Not to put too fine a point on it, what is really being said is, "We Like you (sort of), but piss off." Is this really what the church of Jesus Christ should be about? All the fine words, and the good works, and beautiful liturgies, etc etc, are destroyed by this (these . . . because it happens all the time) moment/s of rejection. I am sure that the lady who was refused communion (presumably at her husband's funeral Mass) would have felt justified in her decision, made years ago, not to join her husband in the Catholic Church. Both sad and unnecessary. The only problem with constant revision is the resources parishes need to buy new Missals and aids. And how about the laity? It use to be one was given a Missal for first Holy Communion and you could expect to keep it a lifetime. Not so anymore. Perhaps a bit more Latin with various approoved English texts is the way to go. To avoid constant republishing. It's sad that those imposing the new missal evidently did not so much as glance at the treasury of fine English in more than four centuries of Anglican liturgy. The collects, for example, in "A Prayer Book for Australia" are finely honed, easy on the ear,and enduring food for any Christian soul. How many Catholics know,or would want know, a Sunday collect off by heart? Andrew, your last three paras damn with faint praise. I find it interesting that some defend the new translation by reference to the evolution of the English language, a 'living language'. Yet the commentaries seem to agree that the language used is more traditional, archaic, or of a 'costume drama', suggesting that English may be entering its dotage, not its vibrant youth, or even thoughtful maturity. A final point - what will be the effect of this on the few young Mass attenders? We parents are trying to defend the practice of our faith to the accusation of 'irrelevance' from our children, so now we are going to make the Mass more difficult to the generation that demands entertainment, instant gratification etc etc. The older I get, the more I despair about the leadership of our church, and their relationship with the Cathilic people. Enough with the translations. Can't go wrong with keeping it in the Latin. I suppose I'm a minority opinion. As a Catholic in the US I want a universal church to have a universal English translation that captures the meaning. If that means centralization and power and control - so be it. If you left it up to us - we'd be arguing for another 2000 years. like the dewfall? is that even English? re the new translation,just one question: WHY? No-one's going to Mass anyway in Australia. Tim McNaught has struck on one of the greatest unwritten issues in English liturgical history: the almost complete failure of the Catholic liturgists and their Church to read, mark and inwardly digest the extraordinarily great language of the Anglican liturgies over 400 years. The very best English is there, right in front of them. Go figure! "Surprisingly good". You won't say that about the suggested music.